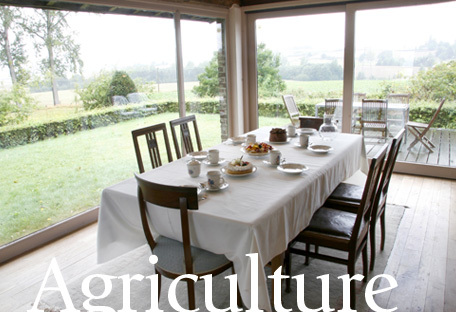 Ferme Barette is located less than an hour drive from Bruxelles (30km), Brugge (130km), Antwerpen (70km), Liège (115km), Namur (55km) and Mons (40km). It's also easy to get to from our neighbour countries: Amsterdam (230km), Düsseldorf (230km), Köln (235km), Lille (100km), Paris (270km), London (320km) and Luxembourg (220km). 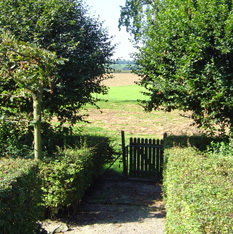 Ferme Barette is situated nearby two highways A7/E19 and A4/E411. Thalys to Brussels than a train to Nivelles. 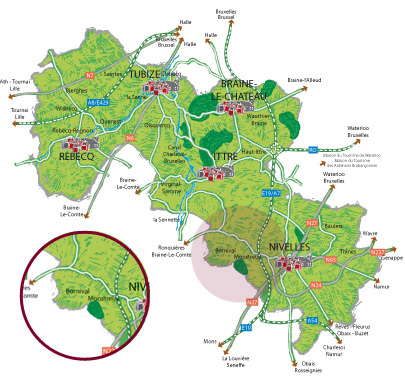 Easily reachable via the international airport of Charleroi some 25km from Bornival. Or the airport of Brussels national some 30km away.